Follow Thrillist's board Egggggsellent on Pinterest. Follow Thrillist's board Boss-Level Bacon on Pinterest. Should you require even more morning meal options, you can check out Pinterest's entire "breakfast club" for additional coffee and crepe action. 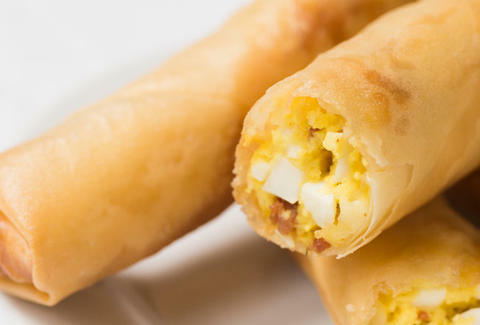 But seeing as you already have a deviled egg roll recipe, you should be set for life. Kristin Hunt is a former Food/Drink staff writer for Thrillist, and had the most artfully plated side of bacon she's ever seen at brunch last weekend. Follow her at @kristin_hunt.